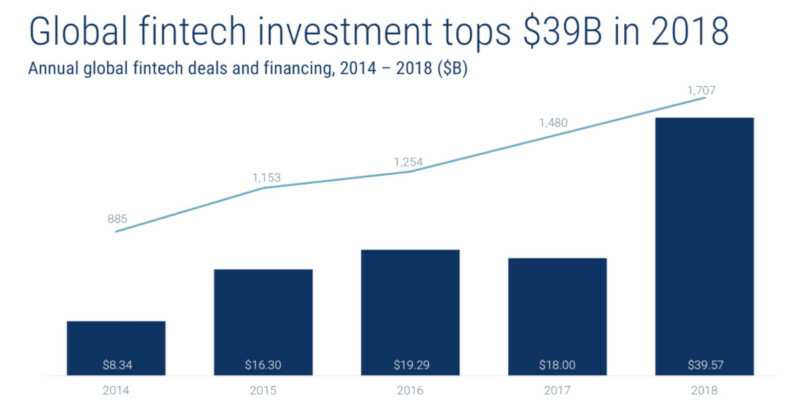 According to CB Insights, venture capital-backed fintech companies have raised USD 39.57 billion from investors globally in 2018, up 120% from 2017. The research has also found that the funding was raised through 1,707 deals, up from 1,480 in 2017. The surge in funding was due in large part to 52 mega-rounds (investments larger than USD 100 million), which were worth USD 24.88 billion combined. in the US, fintechs raised USD 11.89 billion through 659 investments, while the number of deals dropped in Europe, but funding reached USD 3.53 billion.